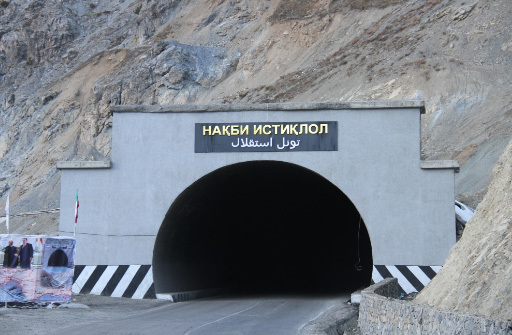 DUSHANBE (TajikTTA) — Tajikistan needs more than $8 mln to complete the construction of the Istiqlol (استقلال) tunnel, formally opened 12 years ago, linking the central and northern parts of the republic. The project for carrying out the necessary work is ready, but this requires another $8.2 mln. This issue must be agreed with the Iranian side. Now the issue is being discussed with the Iranian Ministry of Energy. In 2003, Iran and Tajikistan signed an agreement on the construction of the Istiqlol tunnel, the amount of financing was $39 mln. Of these funds, $10 mln is a grant from the Iranian government, $7.8 mln is the share of the Tajik government and $21.2 mln the credit of the Iranian side. Although the ceremony of putting this facility into operation has already taken place in 2006, the construction of the tunnel is not yet completed.